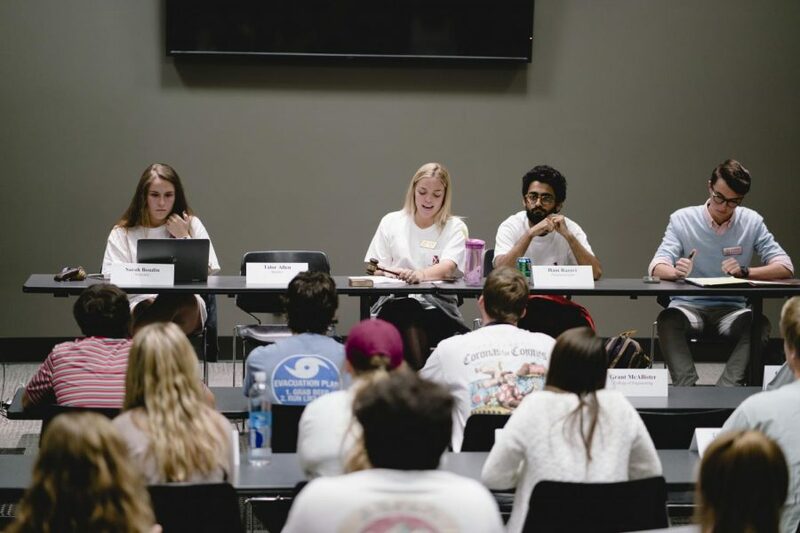 The Student Government Association’s (SGA) Senate passed a resolution on Oct. 18 supporting those impacted by Hurricane Michael. The resolution, written by Sen. Reagan Tonner, a junior majoring in political science and Sen. Brooks Payne, a sophomore majoring in communication studies, aims to publicize the possibility of a drive to benefit those affected by the major hurricane which made landfall Oct. 10, less than 300 miles from campus near Panama City, Florida. Senators Payne and Tonner have been speaking to organizations such as the Red Cross and other nonprofits to coordinate a drive and will be speaking to other SGA officials to see if additional legislation is necessary. Senators passed an act to approve the organizational funding requests suggested by the Financial Affairs Committee for the month of October 2018, and for other purposes with no objection. The act, written by Vice President of Financial Affairs Clay Gaddis, a junior majoring in biology, was added to the docket hours before the Senate’s meeting and approved $49,987.78 worth of funding requests for multiple organizations. The Senate also passed legislation to facilitate diversity of news media available to students. The resolution, written by Sen. Chad Heatley, a senior majoring in mechanical engineering, said the campus should be required to provide free newspapers to students that cover both sides of the media spectrum. Heatley said the University should provide the Wall Street Journal in addition to The New York Times in order to represent both sides of the media. Following Heatley’s proposal, the Senate voted entirely to pass the resolution with the exception of graduate student Sen. Branden Greenberg who voted in opposition.